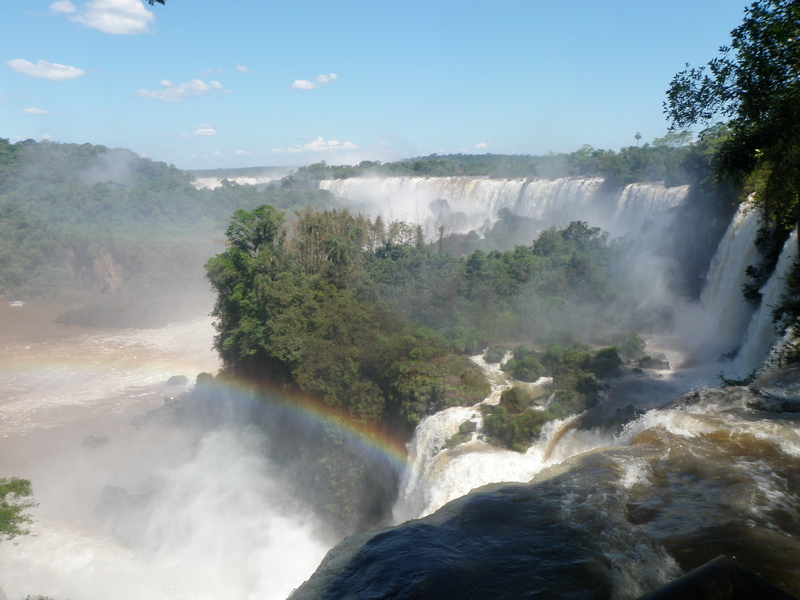 One of the ‘must sees’ for us on this trip was a visit to Iguazu Falls, a series waterfalls over 200 feet high that cascade over an ancient lava flow. 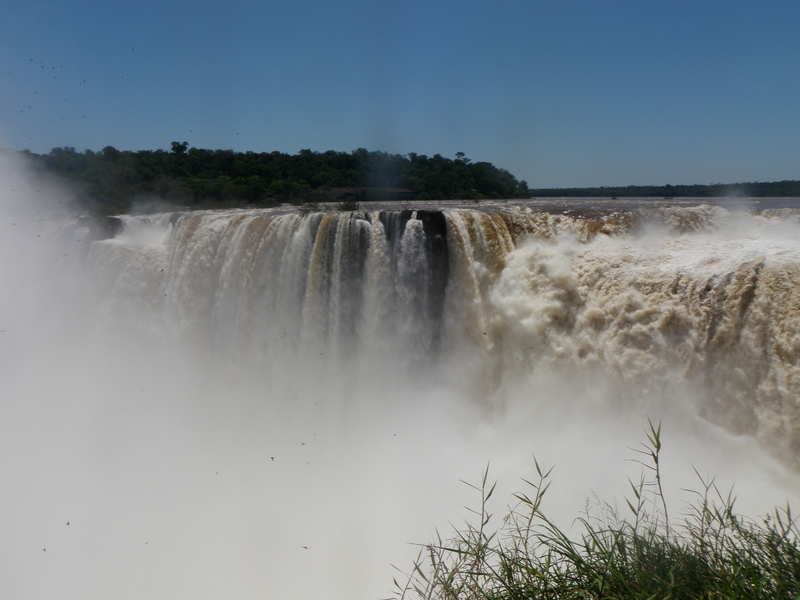 There was no way we were coming to Argentina and not checking this out. 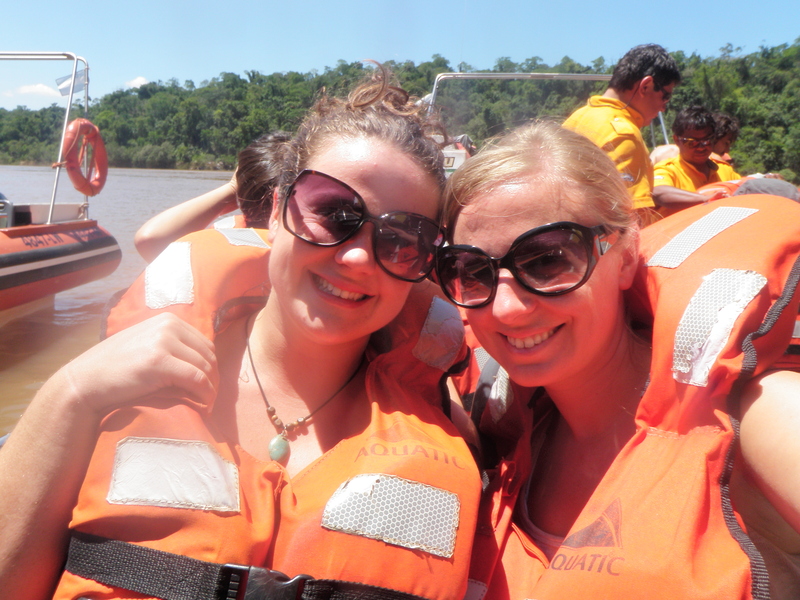 After a 18 hour bus ride, we arrived in the small town of Puerto Iguazu and got settled in our hostel, Residencial Uno. The owners, Dian and Balleria, have five big dogs that ruled the place, so we got to get our ‘cute dog’ fix during our three days there. Our first night the owners hosted an asado (an Argentinean bbq where they cook the whole cow) and Kelly and I tried some of the intestines and the kidney. Kelly loved the taste, but I could take or leave it. 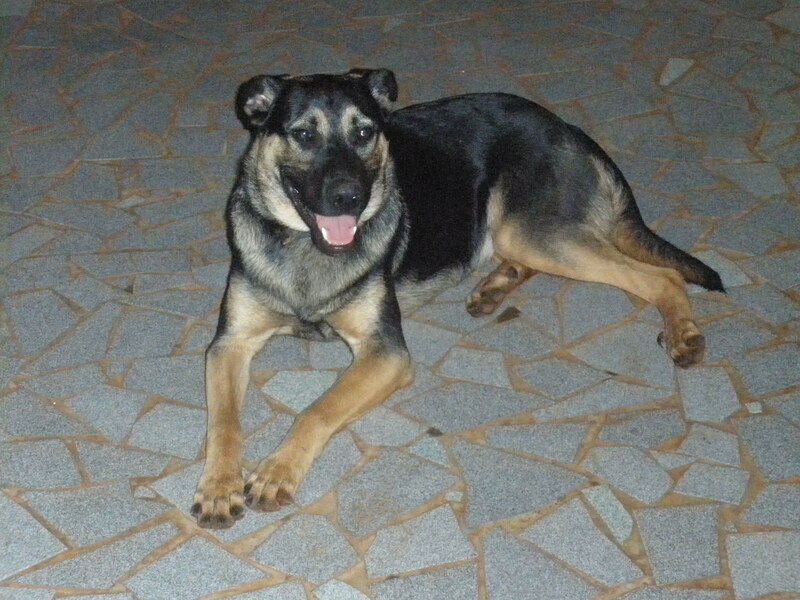 There were five of these dogs. So cute! Our first day at the falls was action packed. The park has two circuits, an upper and a lower. The upper circuit allows for a bird’s eye view, while the lower lets you actually walk around and into the falls. 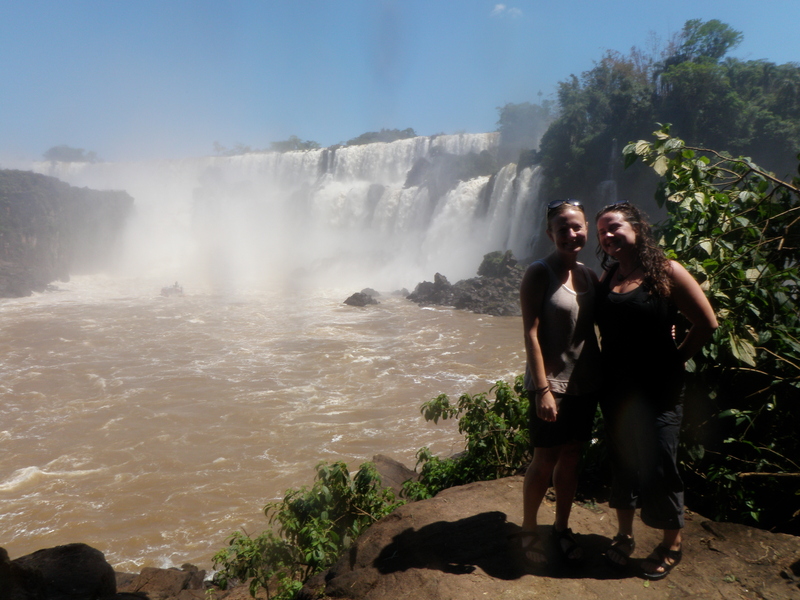 We immediately went to see the main attraction, ‘La Garganta del Diablo’ (The Devil’s Throat) upon entering the park. Whoa. There are no words to describe this thing and the pictures do not even begin to do it justice. 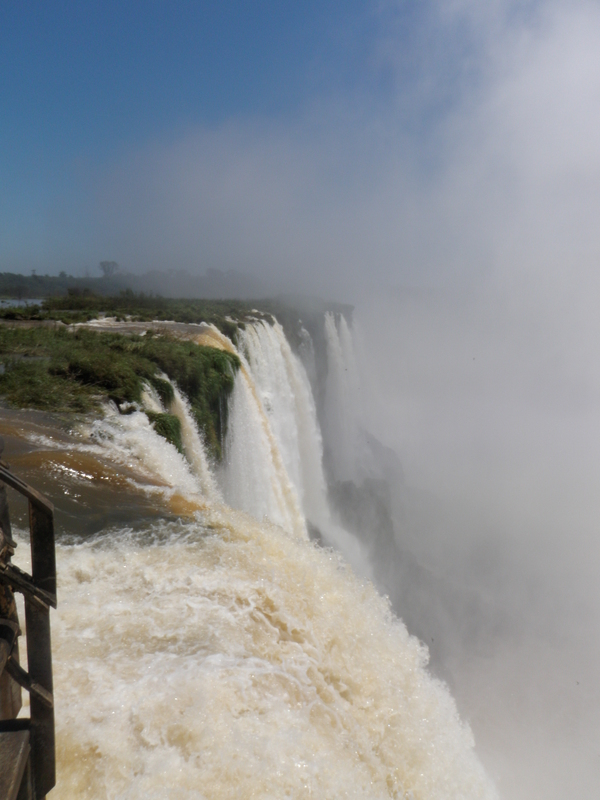 The sheer amount of water pouring over the edge was mind boggling. The Devil's Throat. The cloudy stuff at the bottom of the photo is actually mist spraying up from the waterfall. 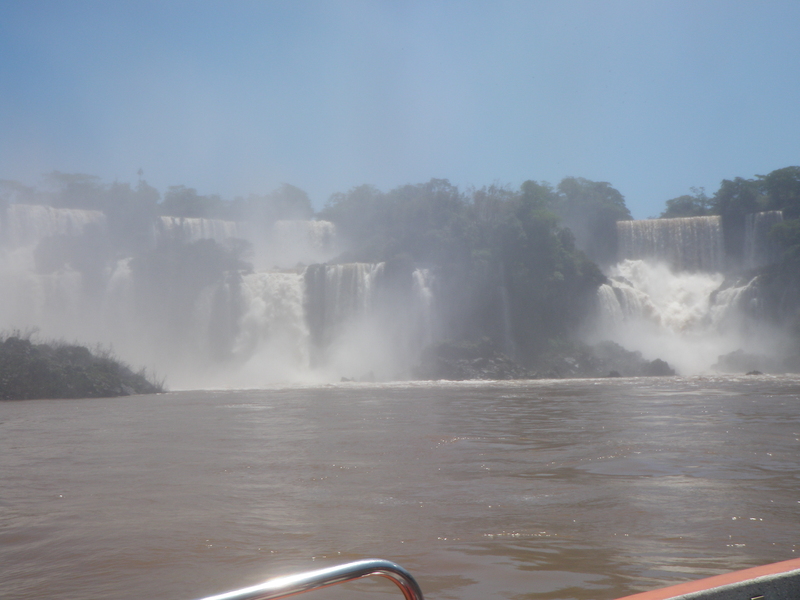 After about 30 minutes or so of staring in awe at the throat, we headed off to catch our speed boat that took us up the river, over rapids and into the falls. We took some fast turns into the falls and got completely soaked. It was a blast! The boat dropped us off on the lower circuit and we were able to check out the falls from the ground level, and again, got sopping wet. Upper circuit. Can you see the rainbow? They were everywhere. We made our rounds on the upper circuit and returned to the park the next day to hike the Macuco trail, a more remote hike that leads to a secluded waterfall. 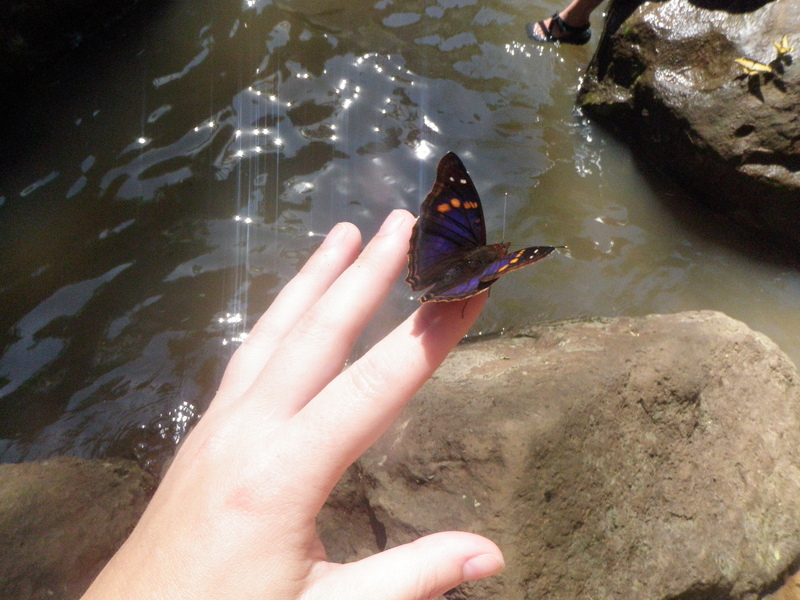 After a couple of hours basking in the sun, picnicking, and taking pictures of all of the butterflies, we said goodbye to Iguazu Falls. 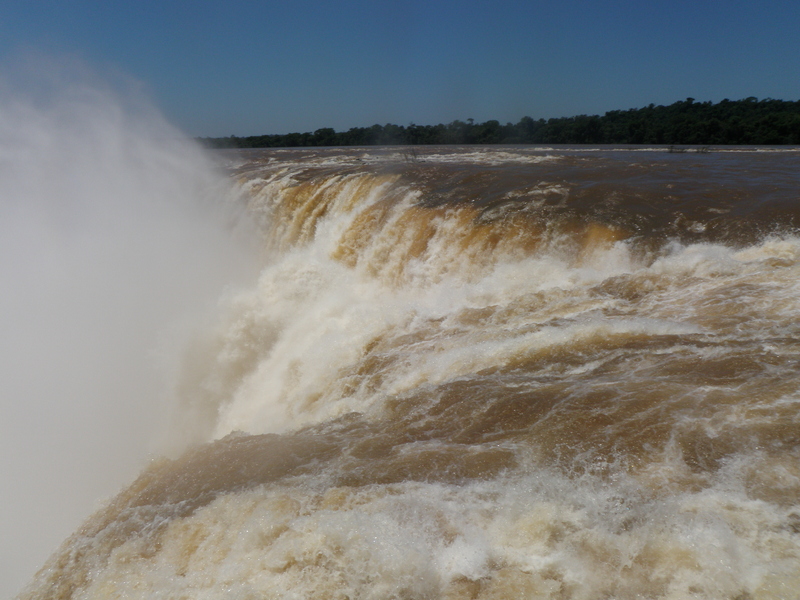 There are also some short videos of the falls and many more photos on our flickr page, which is under our photos tab. Check em out! y’all might could’ve fit more in your packs if you’d chucked those GIGANTIC sunglasses for some smaller ones! Amazing! I can only imagine what those falls must have been like! I can’t wait to hear about the biking and wine. I saw Kelly mention it on FB. Keep updating! I love that you do it so often! awesome pics! what an amazing place….looks like you guys are having a blast! Hey James!!! Its Kelly, we are signed in as Kim…anyway, thanks for checking out the site! hope all is well with you and Katrina:) by the way, we will be making a stop in nyc next year on our way home! will you still be there?